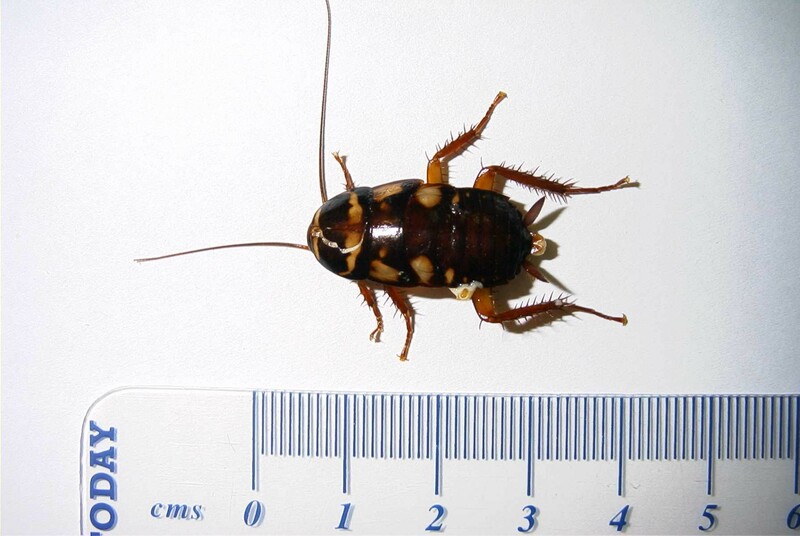 American cockroach adults grow to an average length of around 28mm – 44mm and are about 7mm tall. They are shiny reddish brown and have a yellowish margin on the body region behind the head. Immature cockroaches resemble adults except that they are wingless. Their wings are longer than the body in male, but only just overlap the abdomen in the female. Females produce an egg case called an ootheca which protrudes from the tip of the abdomen which will contain between 5-30 eggs and a female will deposit one every few days, up to 20-30 in total. Adults live for around one year and a female will produce an average of 150 young. The ootheca hatch out in around 1-2 months, with nymphs taking as much as two years to mature although this is much less in warm, humid conditions. Cockroaches prefer a warm, moist atmosphere and are commonly found in cracks and crevices of drains and sewers and ventilation systems. Due to the temperatures in Britain, infestations are rarely found outside in the UK. 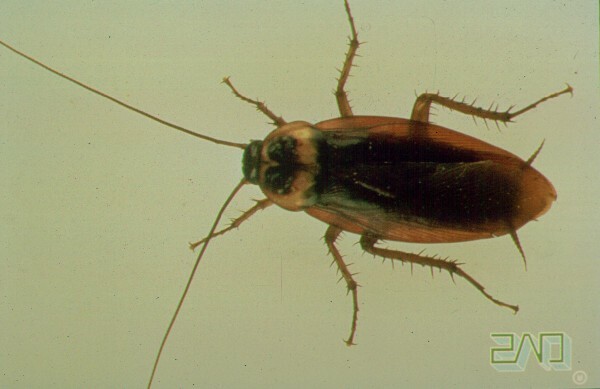 This species of Cockroach are omnivorous (feeding on plant and animal matter) and are nocturnal. They can travel quickly, often darting out of sight when someone enters a room, and can fit into small cracks and under doors despite its fairly large size. It is considered one of the fastest running insects. Cockroaches may enter houses through sewer connections, under doors, around plumbing, air ducts, or other openings in the foundation. Cockroach populations may be controlled through the use of insecticides in the form of powders and sprays, and can also be controlled with sticky traps.